A review of the importance of multidiscipline collaboration in the development of major urban projects with trees referencing a pop up temporary Forest in Bath, a 54 hectare park in Singapore, a housing scheme in Cambridge and new public realm for Sheffield University. Andrew is a Landscape Architect who’s work explores the connection between people and nature and he formed Grant Associates in 1997 to test the creative possibilities of sustainable landscape architecture and ecological placemaking. In 2012 he was awarded the title of Royal Designer for Industry (RDI) in recognition of his pioneering global work in landscape architecture. He is a Visiting Professor for the Department of Landscape, Sheffield University, and an Honorary Fellow of the RIBA reﬂecting his work on key architectural projects such as the 2008 Stirling Prize winning Accordia. Andrew led the multi disciplinary design team on the £500 million Gardens by the Bay project at Bay South in Singapore. This 54 hectare public park has won multiple international design awards including the Building Project of the year at the 2012 World Architecture Festival. He is a co founder of the Forest of Imagination project in Bath. The presentation will link emerging global agendas with ongoing local action in cities; demonstrating how we are at a pivotal moment in time for urban living and the case for urban forestry. This is a time of unprecedented change for cities, for local authorities and so for existing delivery models. In the face of extreme austerity in public services the world has confirmed that this century’s economy will be driven by cities. So growth will continue if not accelerate, with no shortage of money. So does this put urban natural infrastructure in a position of increased vulnerability or do the Sustainable Development Goals and COP 21 Paris Agreement targets- shift the ground towards re-evaluating the role of the urban natural environment? If so who are the key players and actors in this New Urban Agenda and what new languages will we all have to learn? Birmingham has been exploring these themes with some deliverable outcomes to report on. Climate Change and Sustainability Manager, Birmingham City Council, UK; and Senior Research Fellow, (Natural Capital) University of Birmingham. Currently Nick leads on Green Infrastructure, Climate Change Adaptation and Natural Capital, for the City of Birmingham. He has led on several European research programmes including EU-Project URGE- devising a draft European policy for urban green space; EU-Cities-Adapt, involving 21 cities across Europe on multi- governance adaptation assessment. Birmingham is the only UK city to be invited to join the global Biophilic Cities Network, a sharing platform for 11 aspirational green cities. An explanation of the various landscapes that make up the Garden Suburb, from private gardens to recreational spaces, allotments and productive gardens, squares and closes, and big landscapes like recreation grounds and the Heath Extension. Unwin’s treatment of roads as linear parks, each with its own species of street tree to provide interest and seasonal progression. His enthusiasm for the retention of mature hedgerow oaks in his housing layouts, and the problems the Trust has in managing these today, particularly where they threaten to undermine the foundations of the cottages built around them. The importance of hedges to provide a setting for the houses and a green edge to the roads (walls and fences were banned in the original layout). An explanation of the recently completed tree survey for the Suburb, mapping and recording every substantial tree. Managing the Suburb landscape today. I have been employed as Architectural Adviser to the Hampstead Garden Suburb Trust since 1998. The Trust is the estate management organisation which acts to protect the special character of the Suburb, its buildings and its landscapes. The Trust operates a Scheme of Management. I was a Council Member of the Institute of Historic Building Conservation from 1996 – 1999 and a Trustee of the Twentieth Century Society from 1999 to 2012. Successfully integrating trees with new development is a cornerstone of modern arboriculture but as a profession we are failing to orchestrate our efforts – we are out of tune and underperforming. There is a real risk that our specialist knowledge, skills and experience are marginalized in the planning & development arena due to ineffective communication and huge variation in how trees are assessed, evaluated and judged. BS 5837 recommends that planning applications include “an arboricultural impact assessment [AIA] that evaluates the direct and indirect effects of the proposed design” and that tree professionals work collaboratively to achieve a “harmonious and sustainable relationship between trees and structures.” Unfortunately the BS provides no structured, systematic framework to identify, predict, and assess arboricultural impacts with any degree of consistency. BS5837 plays all the right notes, but not necessarily in the right order! Our data gathering & tree constraints presentation commonly results in inappropriate and misguided tree retention, whilst oversimplified default positions and a priori assumptions about tree roots have had a pervasive influence within the arboricultural community. We consistently undervalue key trees, underestimate impact, and our general contribution to the planning & development process can be ineffective. Place-making & constraints led design needs effective arboricultural input and accurate tree-related information as early as possible in the process. 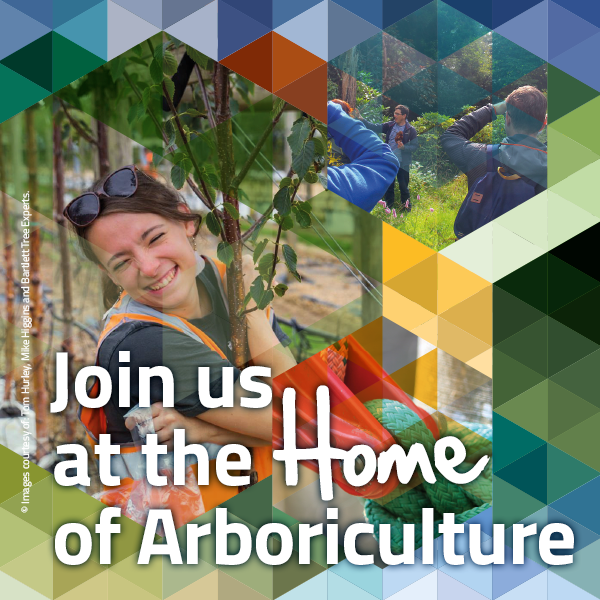 This presentation will discuss some of the shortcomings and pitfalls of current practice - supported by case studies and examples - and suggest a number of opportunities to improve the effectiveness of arboricultural impact assessment. Jon Kiely is a Professional Member of the ICF, Chartered Arboriculturist, Fellow Member of the Arboricultural Association and Chartered Environmentalist, with over 20 years’ experience in practical and professional arboriculture. Over the last 10 years he has worked throughout the UK on development projects of all sizes with varying levels of success and during which his perspective has changed significantly. Jon has a logical approach to problem solving, a tendency to be economic with his words, an intolerance of ambiguity, and a mild fear public speaking. RICS recently published an information paper entitled ‘Placemaking and value’. This presentation presents the research findings. By analysing five case studies, the paper aimed to understand the relationship between the various design features and delivery mechanisms of a large residential scheme, and the end-sales achieved. It distils which physical attributes, as well as which delivery approaches, can create a positive sense of place in a new residential development and how this can trigger higher values. It also looks at the value created upon release as a static comparison with other new build schemes in each of the locations, as well as trends in values over time. The research was been carried out by property consultants CBRE, who analysed residential property value data obtained from the Land Registry. Discussions with developers and agents, as well as with community groups and planners were also undertaken. Most of the case studies are, or will be on completion, large residential-led, mixed-use urban extension schemes that have created entirely new places with their own sense of identity. However, all are different in location, size and level of progress. Each has its own unique set of challenges and opportunities. This gives a range of factors to consider, but sufficient parallels to draw universal lessons on value. The research found that placemaking does add commercial value. However, there is considerable disparity in the size of the premium which. also varies between different dwelling types. Tony Mulhall MA MSc MRICS MRTPI. Tony Mulhall is an Associate Director at the Royal Institution of Chartered Surveyors (RICS). He is a Chartered Surveyor and Town Planner and has worked in a wide range of areas of planning and property in both the public and private sectors. He is actively involved in promoting an understanding of development economics within the planning system and has given evidence to the UK House of Commons Select Committee on Town Centre Planning Policy. He represents RICS in a number of bodies including the International Federation for Housing and Planning (IFHP). He has presented at UN/World Bank Conferences and gives occasional lectures at a number of universities. The overall approach of the landscape architect in the design and delivery of transport projects will form the ‘backdrop’ to this presentation with a focus on arboricultural issues particularly management of existing trees and the design of the infrastructure to include trees and vegetation. The presentation will present the design principles from concept to construction and operations. The presentation will focus on the problems and opportunities presented as part of the design and construction of linear infrastructure including road schemes, public transport corridors and in particular tramways. The development of design principles, construction management and contractual requirements will be discussed. New developments in the design and construction of tree pits using a developed variation on Swedish tree pits will be presented and discussed. This allows the construction of tree pits and planting of trees within the congested environment of urban areas. General principles of tree and vegetation management within the infrastructural environment will be presented and discussed. Tony Williams is Senior Landscape Architect and Principal of Transport Infrastructure Ireland (TII). TII is responsible for the design, construction and operation of transport infrastructure throughout the Republic of Ireland. He is a past president of the Irish Landscape Institute (2013 to 2014) and current president of IFLA Europe (International Federation of Landscape Architects – European Region) having also served as Vice President from 2011 to 2015. He is the current IFLA Delegate to the Republic of Ireland (Éire). He holds a Bachelor Degree in Natural Science and a Masters in Landscape Architecture together with qualifications in construction and project management. Network Rail’s infrastructure of 40,000 hectares is enclosed by approximately 32,000 kilometres of boundary fence. Not only does this land holding pass through every National Park in Britain and contain over 200 Sites of Special Scientific Interest, but it also passes within 500 metres of one-third of the population of Britain. Any work on the infrastructure can have an impact on our 7 million direct neighbours especially with the machinery used when constructing a railway. However, none is probably as emotive as the work done to keep trees and other vegetation form affecting safe running of the railway. The management of this vast estate, the fourth largest in Britain, presents many challenges but as many opportunities especially as far as preservation of biodiversity is concerned. This paper will seek to identify those opportunities whilst explaining the constraints that exist when managing them next to trains running at 200 kilometres per hour. Dr Neil Strong studied forestry and ecology as an undergraduate (Edinburgh) and a post-graduate (Portsmouth). He provides Network Rail expertise and support on aspects of the lineside asset including the management of vegetation and the impact on biodiversity; he has developed company standards on vegetation and fencing. His current focus is the sustainable management of the lineside necessary to improve the safety and biodiversity of the rail network. This management has to balance legal, environmental and social obligations whilst also recognising the impact it can have on the 7 million railway neighbours – all whilst trains pass at up to 200kph. Great design is essential to HS2 and great landscape design will be pivotal to its success. It is the landscape, as the complex interaction between people and place that forms the foundations upon which successful societies are built. This means that every design task is critical as part of bringing all the elements of the project together. An integrated and well-designed landscape will ensure that HS2 achieves its full potential and delivers Britain’s long term economic plans but also safeguards and enhances our natural and cultural environment for this century and beyond. One of the key design objectives for HS2, is to create a green corridor that follows the Green Infrastructure concept and which is driven by innovation and best practice. As part of the green infrastructure corridor, HS2 will plant a large number of native trees and shrubs. Plant stock will be needed at different times in an overall construction programme that stretches over a considerable time period. The material will be required for planting operations from the earliest construction stages (advance planting) throughout and to the end of the construction programme as earthworks and areas for planting are completed. The management and logistics of the plant supply contract will be complex and will require highly effective planning and a level of flexibility to account for construction logistics, weather conditions and programme changes. Christoph is the Landscape Design Lead for HS2. He is a Chartered Landscape Architect with a Diploma and an MA in Landscape Architecture. As the manager of HS2’s Landscape Design team Christoph’s key responsibility is to integrate the railway into the surrounding environment and to lead on a landscape design that delivers social, economic and environmental benefits for the country. His role is to promote a design that goes beyond business as usual and that creates a legacy for generations to come. Before joining HS2 Christoph worked as a consultant on a range of high profile projects such as the London 2012 Olympic Park where he led the South Park design team. Civic Engineers are involved in the design and delivery of urban infrastructure across the country, we are a team of highly motivated professional engineers who care about the quality of people’s lives and the communities within which we all live. Our engineering services include civil and structural engineering design and consultancy advice on building structures, public realm, infrastructure, movement and sustainability. This involves much more than just technical ability. It involves listening, researching, learning, understanding, questioning, discussing, documenting, designing, managing, communicating, illustrating, forecasting and implementing. Our objective is to enhance the quality of people's lives in the built environment in ways which work within the sensible limitations of the natural environment; resilience not rigidity; exploring not exploiting; reusing not just using; civility as well as civil engineering. We like to get to know the places in which we work and the people with whom we work; clients, collaborators and other team members. Working with people who share all or some of our core values and who are generally interested in the bigger picture is essential in realising the best results. From this experience we know that good value can only reliably be achieved by good design, which incorporates green and blue infrastructure into the landscape from first principles. We would like to share with you the impact this approach has had on a number of our projects, ranging over lessons learned and discussing how this experience can inform and refine other projects. Stephen is a civil engineer with 20 years’ experience in practice and is a founding director of engineering consultants Civic Engineers. He is a Fellow of the Institution of Civil Engineers and a Member of the Chartered Institution of Highways and Transport. Stephen has been involved in the development of a broad range of urban infrastructure projects across the country, employing place-led engineering techniques to positively transform the environmental quality of our neighbourhoods. Through this work he has been appointed as a Built Environment Expert with Design Council Cabe, a member of the Greater London Authority’s Specialist Assistance Team and a panelist on the Architecture and Design Scotland forum He is also a regular contributor to Tree Design Action Group. History of trunk road planting in England from Roads Beautifying Association to the Good Roads Guide. Design and experimentation. Role of the Forestry Commission. Planting today. Management issues. Safety, pests &s diseases. Challenge of working alongside the busiest roads in Europe. The Roads Investment Strategy and the future for roadside trees. Tony is the lead Environmental Policy Advisor in the Highways England’s Environment Group. Having read law at university he went on to found A&J Sangwine Antiques in Henley on Thames. He started working part time in the landscape industry and eventually decided to make a career of it managing contracts for Watts of Calcot in the 1970s. Tony therefore came to the Civil Service from a private sector landscape management background, joining the Property Services Agency in 1975 as a District Grounds Maintenance Officer and served at Bicester, Greenham Common and Tidworth District Works offices. He acquired a comprehensive knowledge of the estate management of defence and civil properties ranging from airfields to historic gardens. He joined the Department of Transport at Bedford in 1984 as a Regional Horticultural Officer and moved to London as Horticultural Advisor to the central department. Among his noteworthy achievements as project manager are the publication of the Good Roads Guide series of Advice Notes in the Design Manual for Roads and Bridges which he successfully exported to Japan, the production of the Wildflower Handbook and the development of the HA’s first Biodiversity Action Plan in 2002. He led the UK effort and contribution to the COST341 Handbook on Habitat Fragmentation due to Transport Infrastructure. He led the work to develop the HA’s carbon accounting tools and climate change adaptation strategy, and is currently working on a number of initiatives to improve the quality and accuracy of advice and operations for a range of highway environmental work. He is presently delivery manager for the Biodiversity Plan and is the Highways England member of the CEH Advisory Committee. He was awarded the OBE in the 2005 New Year’s Honours list and is a Fellow of the Chartered Institute of Horticulture. Who says there aren’t any trees in Antarctica? If you think the overlap between trees and the seven summits (the highest mountains on all seven continents) is small… well, you’re right. But there are some interesting facts, most of which he will ignore as he takes you on a tree-free arb-detox climb up the seven summits. Sit back, relax and discover how to climb Mount Everest in three easy steps. A Chartered Forester, James has worked for the FC in a many roles including managing the largest upland and lowland forests in England and overseeing grants and regulations in Scotland. He spent two years in Africa as harvesting and marketing officer for the Lesotho Woodlot Project. Now Social & Planning Policy Advisor with FC Scotland, he manages a team of advisors dealing with planning, community forestry, access, recreation & health and learning and skills development. His books include Heritage Trees of Scotland. His prouder achievements include raising £50k for Tree Aid and - as President of ICF - introducing the membership category of Chartered Arboriculturist. James is fortunate to own and manage a small woodland. When not doing hands-on forestry he enjoys climbing mountains and is proud to hold a Rum Doodle club card.